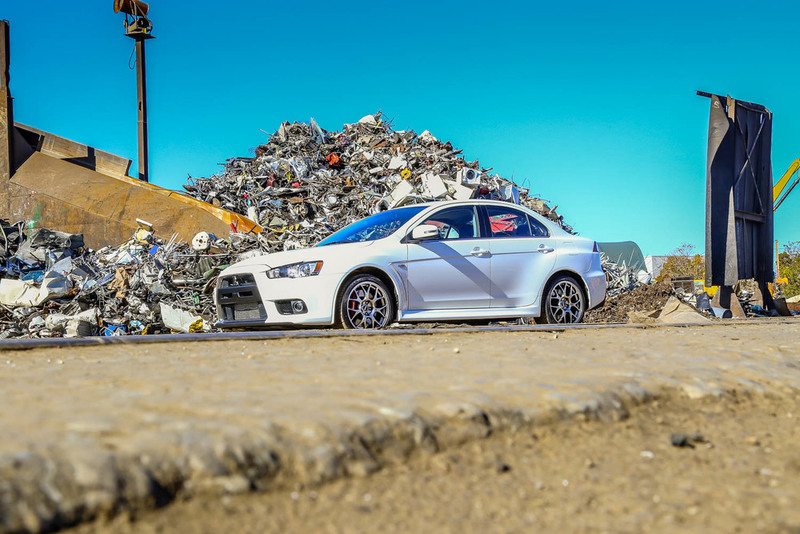 Many of you in the automotive industry have heard the news that Mitsubishi Motors is removing the Lancer Evolution from their lineup. The Evolution first went on sale in 1992 and was intended for the Japanese market. Its demand quickly skyrocketed and the Evo became the car to own. This was the first vehicle having a 2.0L 4G63T I4 Turbocharged engine, pushing 247ps for approximate 243hp. It was a race car right out of the box, and was used in many races around the world, mainly World Rally Championship events. 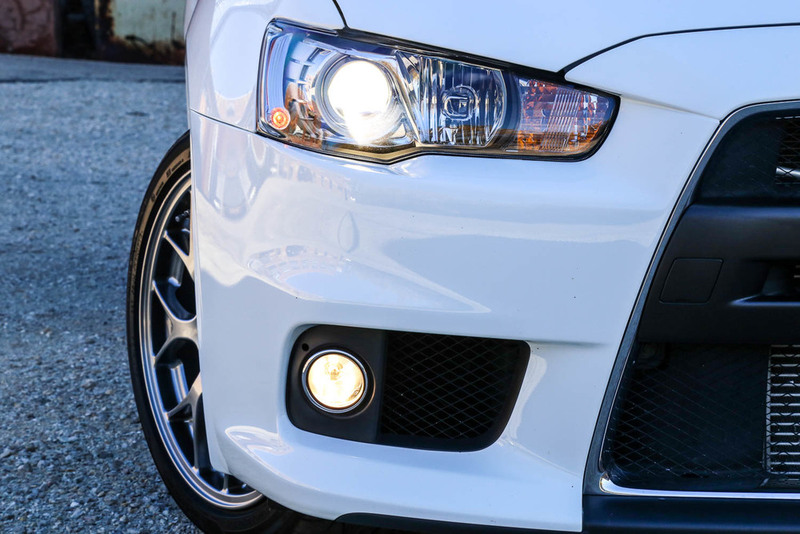 In 2003, seven generations later, the Lancer Evolution VIII became available for sale in the U.S market. This was pretty much a stripped down version of the models sold in the Japanese market, but still came equipped with Recaroseats, Brembo brakes, Bilstein shocks, a front mount intercooler, Enkie wheels, and many other upgrades you wouldn’t see in other vehicles like it. The Evo proved to be an excellent platform for aftermarket modifications. 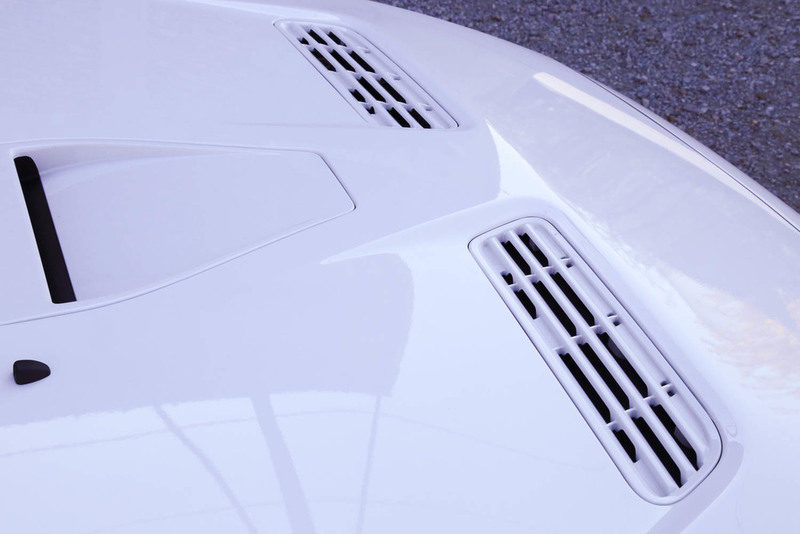 The sky was the limit, making it a favorite of many automotive enthusiasts. Pushing 247hp, the Evo was tested and outperformed the Audi RS4, and Porsche 911 Carrera 4S. This was a huge accomplishment and cemented its status as the car to buy. Now, only two generations later, Mitsubishi has decided to pull the Evo from its lineup worldwide. We were fortunate to have the opportunity to test drive the last normal production Evo X MR edition. Having previously owning an Evo VIII, I was familiar with the car, but had never driven the MR automatic. Knowing that it would be the last time I’d be able to review or likely even drive an Evo, I valued the time I spent with it more and enjoyed every moment. As it turns out, I was the last person to be able to review this vehicle in the Chicago market before it was shipped away to its new home. 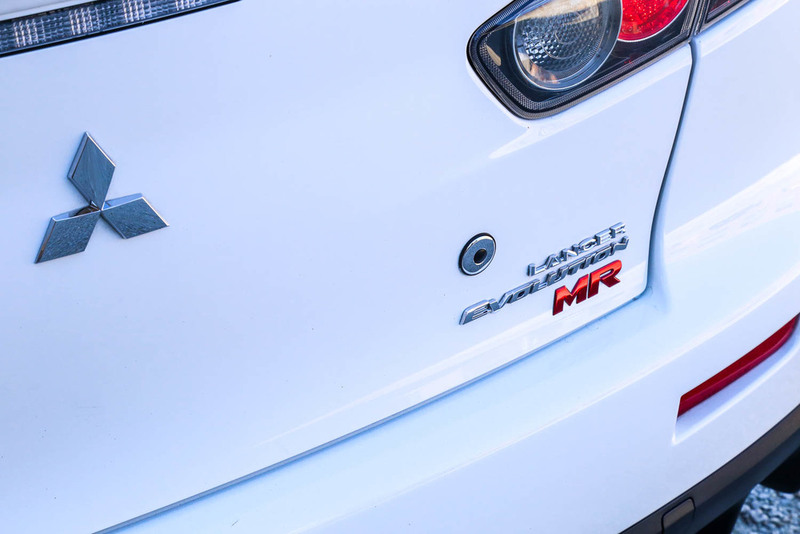 I was delivered a Wicked White 2015 Mitsubishi Lancer Evolution MR edition. You can certainly pick it out from the rest with its unique appearance and sound. The massive front intercooler really fills up the front lower bumper. The sleek projector headlights wrap around towards the fender and fog lights follow the same path. The two tone white and black combo was nice but I wasn’t too thrilled about the turn signal changes. There were moved from the side fenders to the mirrors, which was fine, but for some reason chrome inserts filled the void, and I thought it looked ridiculous. Many of the air vents were painted the body color, but I would have preferred for them to have been kept black to flow with the car, giving it a better contrast and more aggressive look. I liked the split seven spoke 18” BBS forged alloy wheels wrapped with 245/40/18R Yokohama Advan tires. It’s a nice upgrade from what I had on my Evo. I am so used to seeing the traditional high rear spoiler, but honestly it was a cleaner look without it. 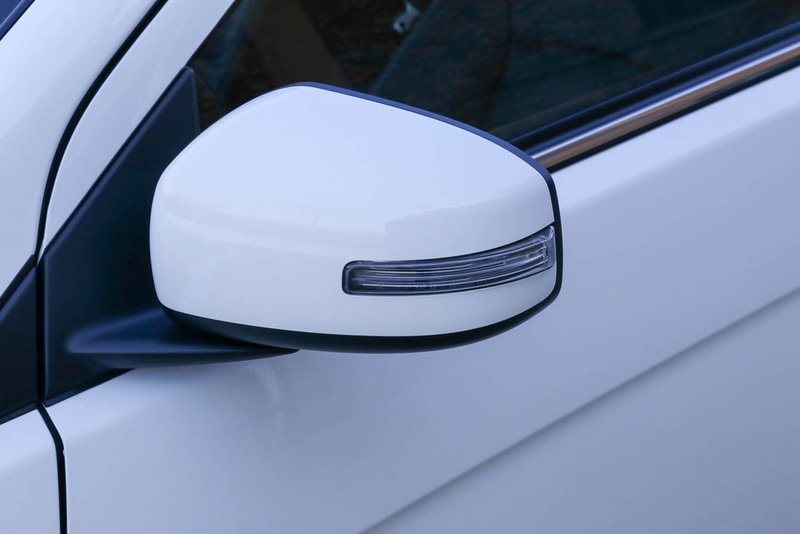 It was also easier to drive without it; in past I have had problems looking out the rear view mirror only to see the spoiler. 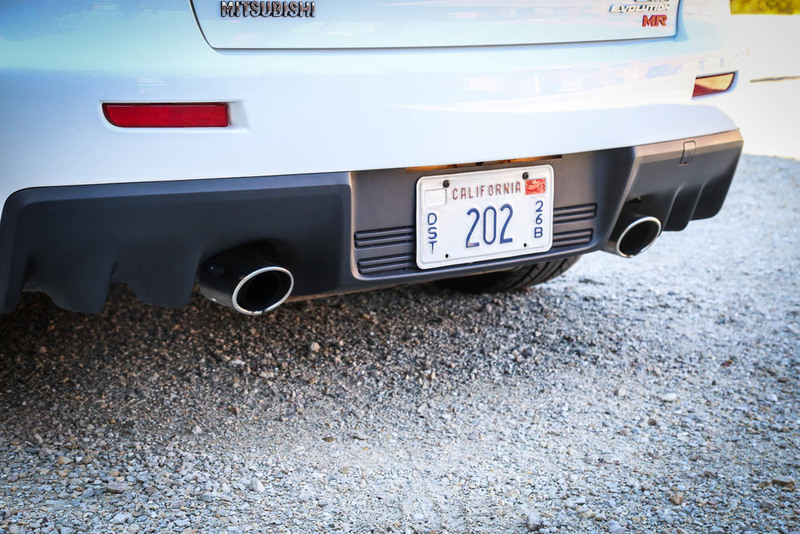 To round out the exterior, Mitsubishi kept the dual rear exhaust with rear defuser. The interior wasn’t the same as I remembered. 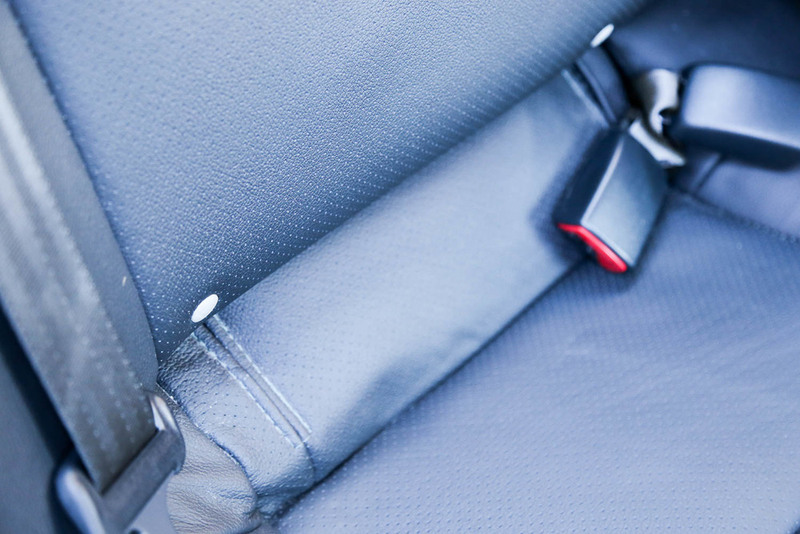 In 2014, the Recaro racing seats were replaced with more traditional driver and passenger seats. This model was equipped with black leather seats, but I would have rather had the two tone cloth seats. They were comfortable, but I found myself missing the Recaros. Being pretty much a race car out of the box, to some it might seem to be outdated compared to today’s vehicles in its class. Personally, as a driver, I’m not really concerned with the comfort features of the vehicle or the way it looks so much as tackling the drive, which was enhanced by the ability to be able to change the road condition settings with a touch of a button. This is an automatic (which my wife was not happy about, “It’s an Evo, it should be a stick!”), but it had pedal shifters at 10 and 3. A sunroof finishes off the interior, while the rest of the details kind of blend in to the background. The drive was exactly what I expected…the Evo did not like to go slow. I felt everything thanks to the tight suspension and quick acceleration. I found myself using the pedal shift manual more than the standard automatic. 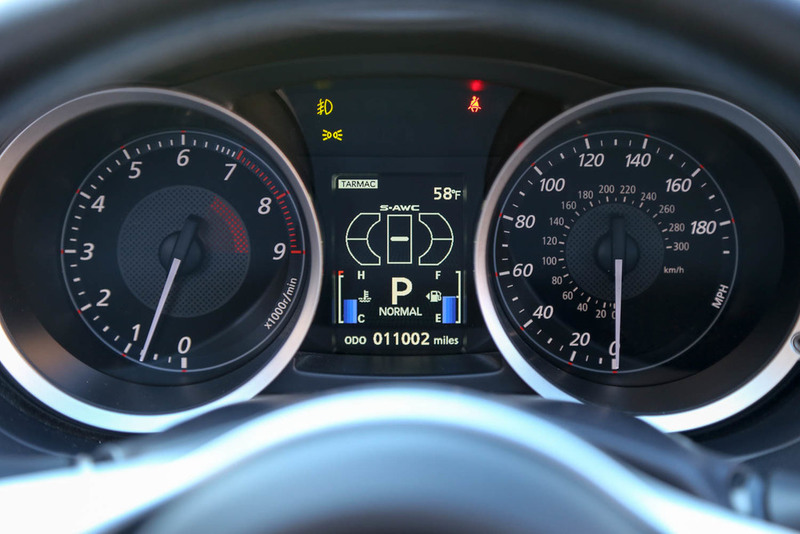 In automatic, it seemed that the shifting points were off and I could feel a huge delay between gears changing. Having control of the transmission was a plus and made it more enjoyable to drive around the city. It was a little loud but that is to be expected from a rally car. It’s not your typical sedan. This Evo was equipped with a 2.0L Turbo MIVEC DOCH 16-valve 4 cylinder engine pushing out 291hp. It definitely had get up and go, and hugged the road thanks to the AWD. 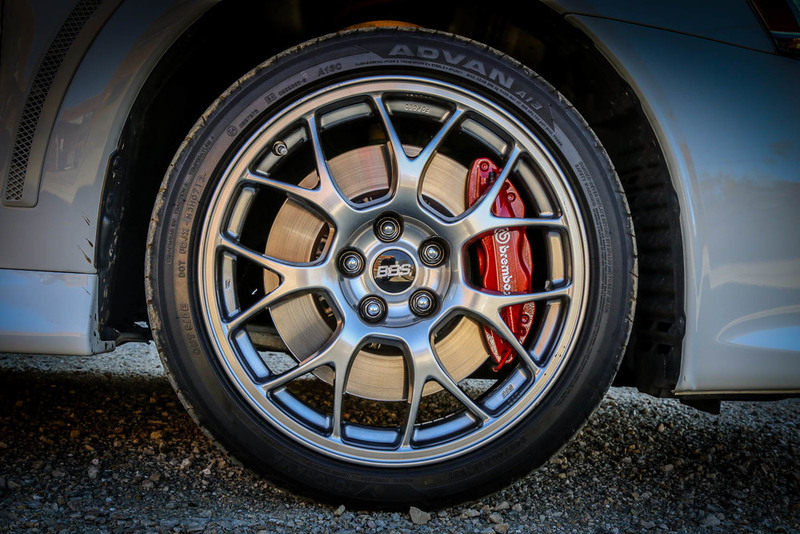 The tight suspension was achieved with McPherson inverted struts, Eibach lowering springs and Bilstein shocks. 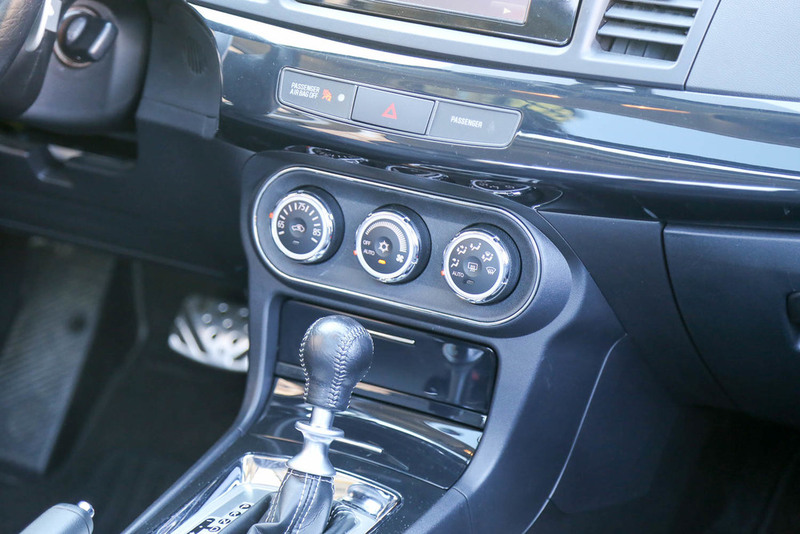 The transmission shifted quickly (in manual mode more than automatic) with its 6 speed twin clutch sportronics and super all-wheel drive control. It was definitely nice having the extra gear for the highway. Something I had fun with was the ability to change your road conditions setting between tarmac, snow and gravel, adjusting the level of traction on the road. I wish we could have had a little snow to have some fun but it was just as enjoyable driving on a dry tarmac. Overall this car really is catered to a specific driver. Not a vehicle you’ll like to have your grandma drive every day, but a car for those automotive enthusiasts that like to take cars to the limit. 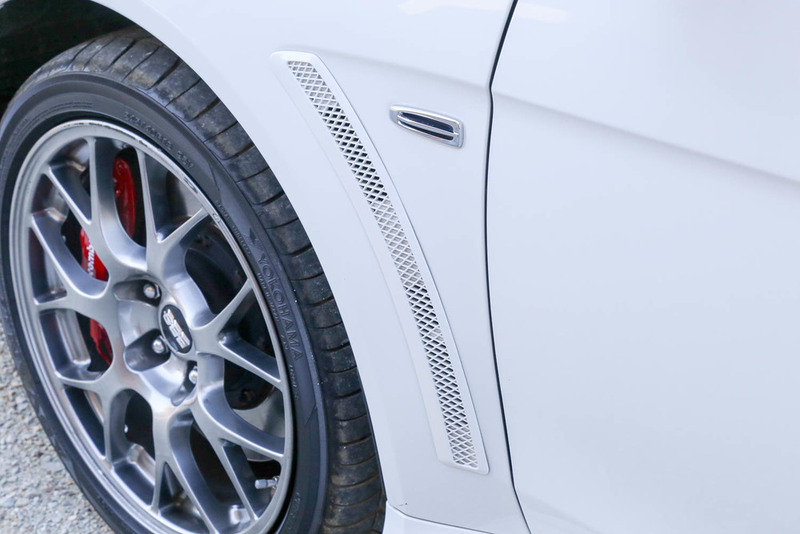 It’s a very subtle design, with the most important focus on the technology of the motor, transmission and suspension. 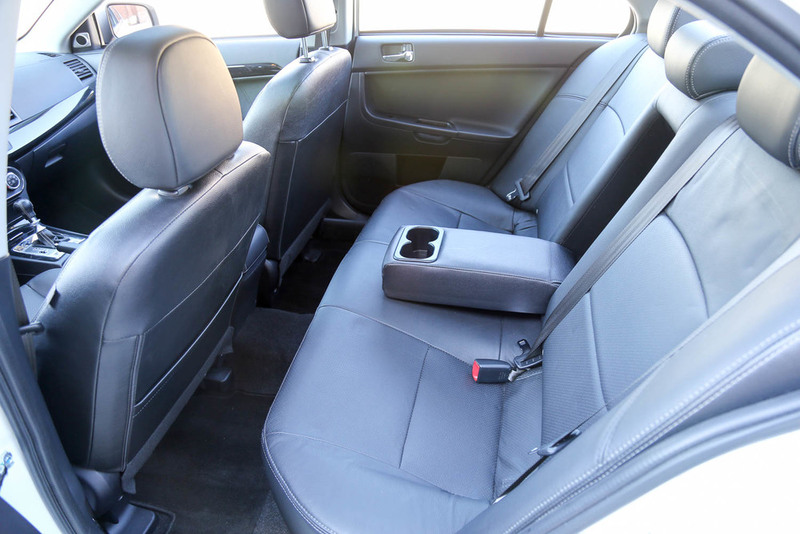 I enjoyed driving around with it and even installed both my kids’ toddler and infant seats. Nice that Mitsubishi thought about making it easy to locate the LATCH hooks for easy installation. Though the cabin had decent room, the trunk space was very limited. It could have maybe held one piece of luggage and a backpack before being maxed out. The Evo is one of my personal favorites, and it had a great 10 generation life. I’m very happy that three of them were available to us here in the US. I’m now curious as to what Mitsubishi has up its sleeves next. Perhaps a return with some sort of electric base motor? I guess we’ll have to wait and see. I’d like to thank Mitsubishi USA for the opportunity to review this vehicle. Make sure to visit your local dealer if you’d like to get your hand on one of the last Evos in production. Below is a video from Top Gear where Tanner Foust took the Evo in a competition to see who could make it from A to B in various road conditions. 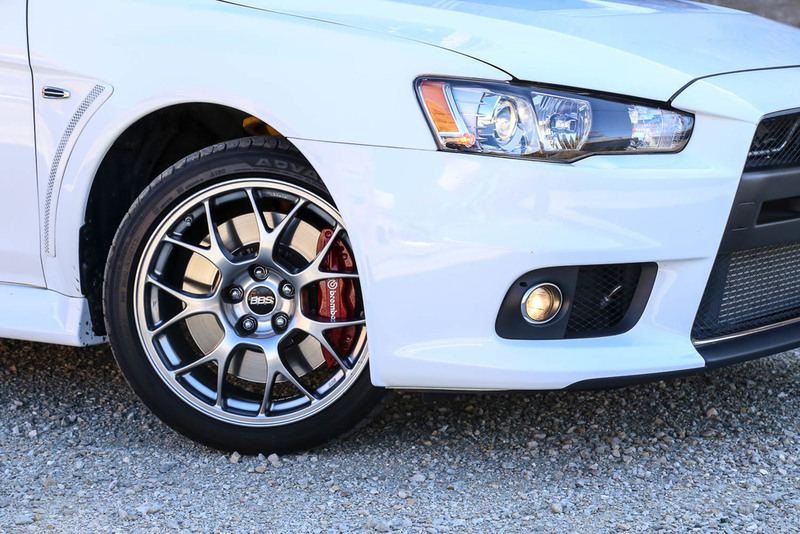 With 2015 being the last model year for the Lancer Evolution, Mitsubishi decided to make one final run of 1,600 Final Editions. They are now stateside, and you can visit your local Mitsubishi dealership to inquire about it and get more information. It’s going to follow the GSR platform but with extra goodies as in special badging, Enkie Wheels, gloss black accents on the bumper and hood outlets, red and black stitching on the seats, steering wheel, floor mats, e-brake and shift knob. They are also increasing the horsepower to 303. It will be available in only Pearl White, Rally Red, Mercury Gray and Octane Blue. Each model will have a special stamp inside displaying the vehicle production number. Want a chance to get your hands on number 1 of 1,600? Mitsubishi has decided to sell the first Final Edition Evo for charity on eBay. All proceeds will be given to the Multiple Sclerosis Society Pacific South Coast Chapter. The auction runs from November 11, 2015 until November 21, 2015. There will be a MS dinner in Coronado, CA to celebrate the conclusion of the bidding, and those in attendance have the opportunity to bid right to the end. Below is the link to the eBay listing. Good luck!